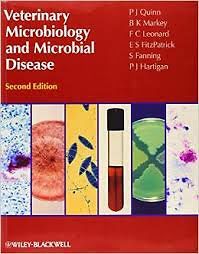 Microbiology is one of the core subjects for veterinary students, and since its first publication in 2002, Veterinary Microbiology and Microbial Disease has become an essential text for students of veterinary medicine. Fully revised and expanded, this new edition updates the subject for pre-clinical and clinical veterinary students in a comprehensive manner. Individual sections deal with bacteriology, mycology and virology. Written by an academic team with many years of teaching experience, the book provides concise descriptions of groups of microorganisms and the diseases which they cause. Microbial pathogens are discussed in separate chapters which provide information on the more important features of each microorganism and its role in the pathogenesis of diseases of animals. The international and public health significance of these pathogens are reviewed comprehensively. The final section is concerned with the host and is organized according to the body system affected.